Our complete heating and plumbing service covers all areas of the industry. 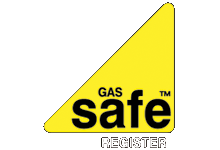 As well as domestic boiler servicing and new boiler installation, we service, maintain and install all types of gas appliances and constantly strive to continue improving our high standards of workmanship and customer care. Independent studies showed that it saved people an average of 10% to 12% on heating bills and 15% on cooling bills. So in under two years, it can pay for itself.